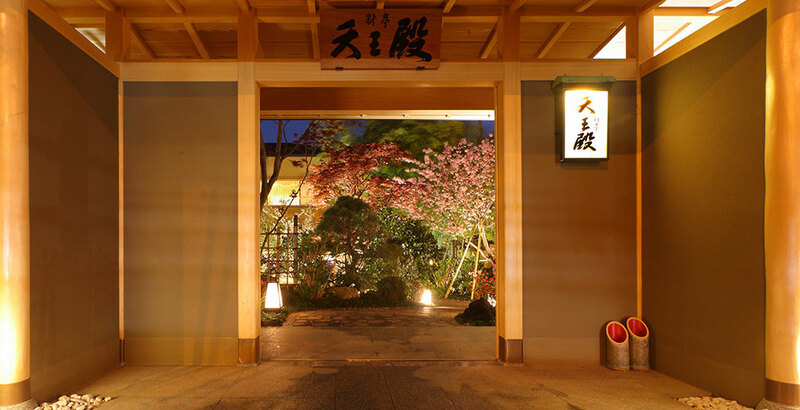 Tenno-den Japanese Restaurant | Visit the historic ryōtei Tenno-den for fine dining in the Japanese kaiseki tradition. 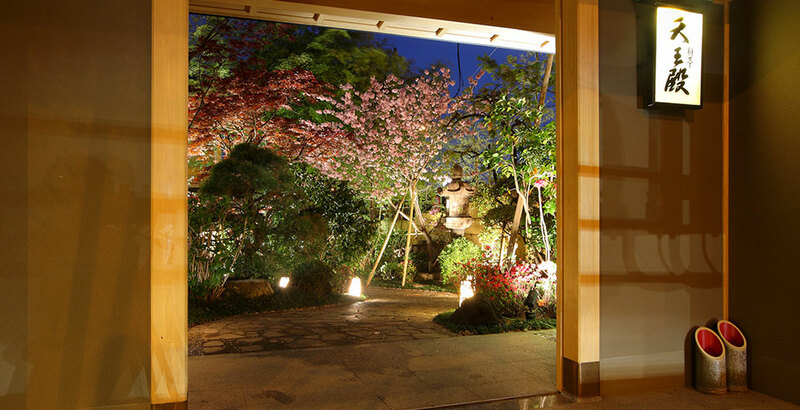 Enjoy a peaceful garden setting in the heart of Osaka City's Tennoji Ward. Features on-site parking and private tatami dining rooms. Fully equipped for banquets and large-group events, including birthday celebrations, dances, reunions, engagement parties, wedding receptions, children's festivals, memorial services, meetings, conferences, networking events, welcome and farewell parties, end-of-year parties, New Year's celebrations, traditional Japanese music recitals and more. 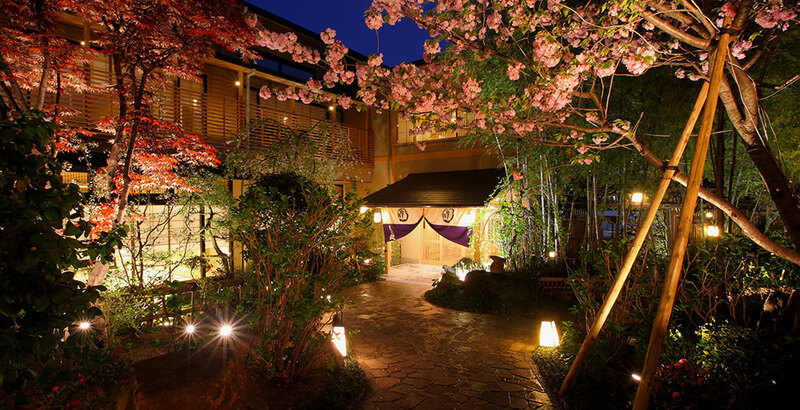 Experience the fine art of Japanese cuisine amid the elegance of Tenno-den’s traditional garden. 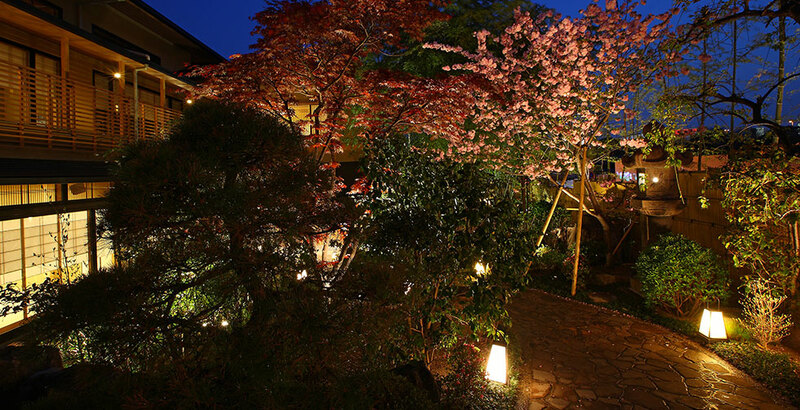 Take a break from Osaka City’s bustling Tennoji Ward in the quiet luxury of Tenno-den, with its private dining rooms and peaceful Japanese garden. Experience the finest in traditional multi-course Japanese cuisine, emphasizing top-quality ingredients and the artful presentation of every dish. Please be advised that it is not possible to reserve a specific dining room. While we accept room requests and do our best to honor each party’s preference, we cannot guarantee that every request will be fulfilled. The garden’s cherry blossom trees come into bloom　from approximately March 20 through the middle of April. Tenno-den is a rare Japanese ryōtei with its own garden in the heart of Osaka City. 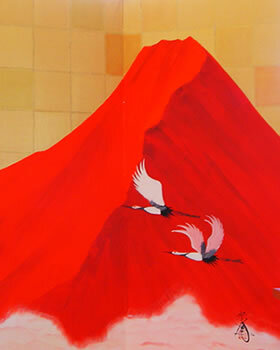 Our fully private tatami dining rooms can comfortably accommodate parties of over a hundred people. (Rooms equipped with floor heating for use in winter) On-site parking available for all guests. Tenno-den’s peaceful surroundings near Tennoji Park’s Chausuyama area will make you forget you’re in the heart of Osaka City. Enjoy finely-crafted Japanese cuisine while savoring the spring’s blooming azaleas, the radiant summer green of bamboo shoots, the colors of autumn leaves, or the clear stillness of a winter’s day. ■ Located in the heart of Osaka City, Tenno-den offers private tatami dining rooms large enough to accommodate functions of up to 220 guests. Smaller private rooms are also available. ■ All dining rooms have a view of the garden. 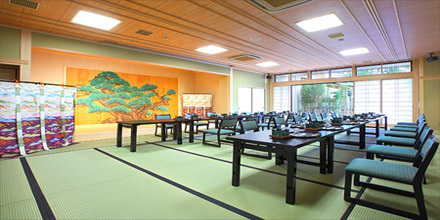 ■ Special luxury rooms (such as the traditional Noh stage inspired room) are available, and can be set up with Japanese-style tables and chairs. ■ Tenno-den’s Japanese kaiseki course menu changes every month to incorporate the finest seasonal ingredients at the height of freshness. (Additional changes can be made for repeat customers within a month to enjoy a different menu on each visit). ■ All rooms equipped with floor heating for added comfort during winter. 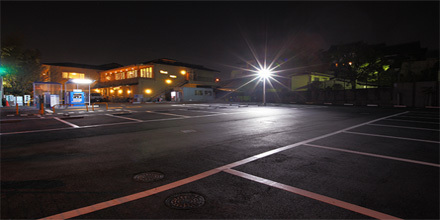 ■ Sufficient on-site parking for all guests. Copyright ©2014 tennouden All Rights Reserved.